Does anyone know if the warranty renewal has to be paid in one go or if I can pay in monthly? Interests:Going Stupidly Fast, motoGp, motorbikes, fast cars, faster women, collecting airmiles!!!! Airline food! My Ride:2, 4 & was 18, now 10 wheels! the latter holding up 171 tonnes, a downgraded upgrade! One payment as far as im aware. Do you have the option of obtaining a credit card with 0% for 12 months? Maybe your best option. One off payment, no real negotiation either on price, I think they did the MOT free when it was in for the pre warranty renewal check. Did I really type the word free there? It must be getting late! Interests:Rock music. I'm the drummer in 'A Certain Age' Railways, walking, reading, lambretta's and coarse fishing. Lets put it down to the late hour and your obvious emotional state at the football result. 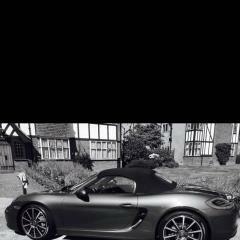 You can reduce cost to £1400 ish by not opting for Porsche assist.